Simple and easy — that’s how food prep should be when you’re busy and short on time. Want to know the best time-saving kitchen hack around? Toss frozen fruits and veggies into your favorite recipes to skip prep time. In honor of National Frozen Food Month, you’ll find lots of great deals and coupons from Dole®, Cascadian Farm®, and Birds Eye® this March to help you save money and time on these delicious frozen food recipes! 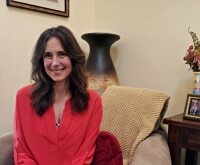 I can’t take credit for this great idea — savvy moms have done it for decades — but I did match frozen food favorites to nearly a dozen delicious recipes that showcase just how incredible this little secret makes your food taste! Next time you head to the store, pick up some bags of frozen fruits and veggies to have on hand. 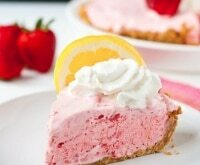 Sweet or savory, choose any of the 10 amazing and easy frozen food recipes below and get your eat on. 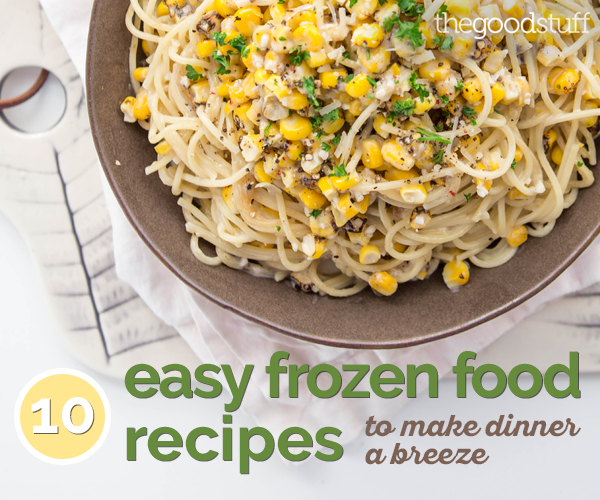 Buying frozen foods is a great way to cut down on meal prep, but don’t forget about the other ways to make comfort food recipes so much easier to make — or these easy-breezy recipes for pre-made dough! Frozen bags of corn are inexpensive and can be used for everything from side dishes to stirring into quiches. 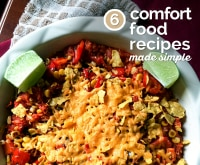 Looking for a budget-friendly way to serve corn for dinner? 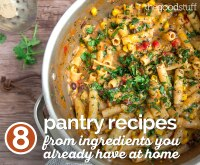 Grab pasta from the pantry and cook up this one-pot frozen food recipe. It’s quick, simple and seriously so delicious! 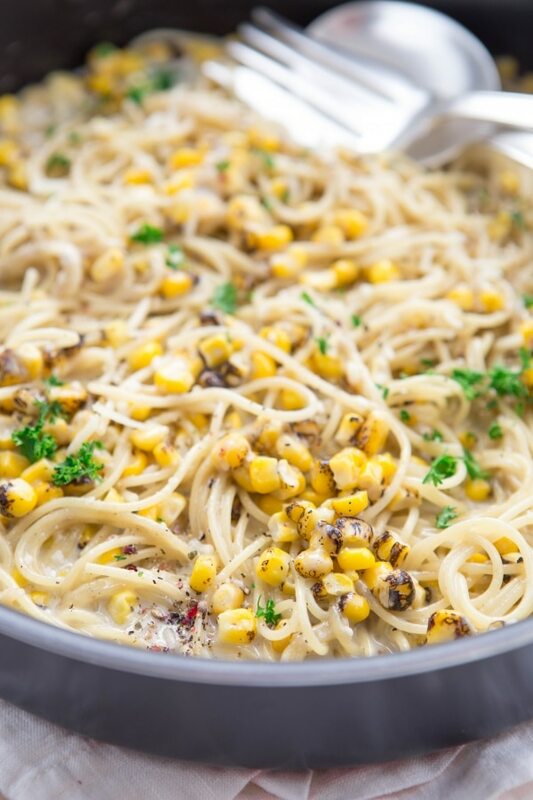 Place corn, pasta, Parmesan, cream, and broth together in large stockpot. Cover and bring to a boil, stirring as the pot heats. Turn heat to medium, cover and continue to cook until pasta is tender, about 12-15 minutes, stirring every 2-3 minutes to keep the pasta from sticking together. Remove from stove, salt and pepper to taste. Garnish with parsley, if desired. Enjoy! 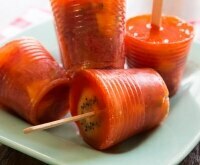 Save this recipe on KitchMe! 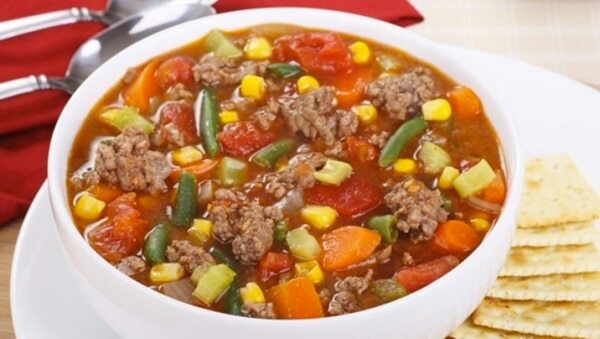 Who needs to spend all day chopping veggies for this delicious hamburger soup? Toss in a frozen veggie mix to up the flavor ante and keep prep time simple. 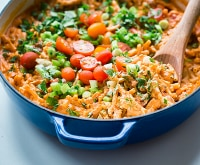 You’ll love this quick and hearty meal that’s perfect on a busy night! Peach cobbler or blueberry muffins — pick your favorite and get out your blender! 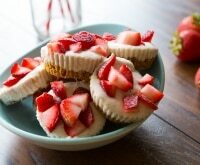 Frozen fruit will give you a nice, cold smoothie without any ice diluting it. 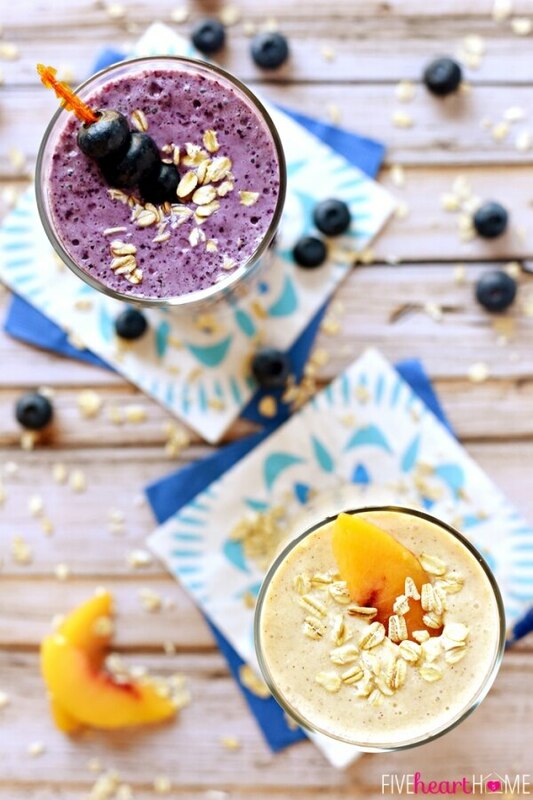 Ground oats, yogurt, and frozen fruit lend these wholesome smoothies a thick, creamy texture that makes them an indulgent yet healthy treat. 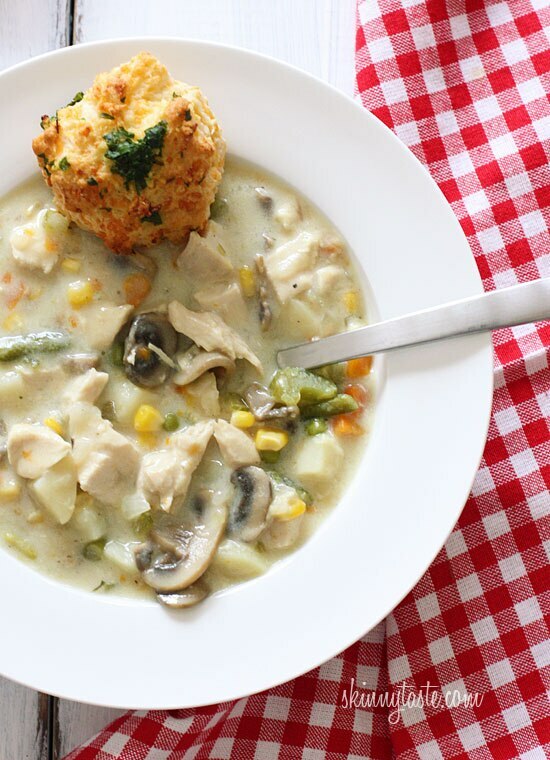 Chicken potpie is the ultimate in comfort food, and this creamy, chunky soup is loaded with chicken and vegetables. This recipe calls for mixed frozen veggies, so you’ll get all the nutrition from produce without the fuss of prepping and chopping. 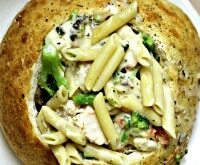 Use rotisserie chicken and you’ve got a super easy, delicious dinner in no time! 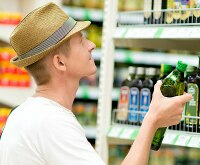 Do away with long recipe lists that add precious time to dinner prep and clutter your fridge with extra food. Frozen veggies are the answer! 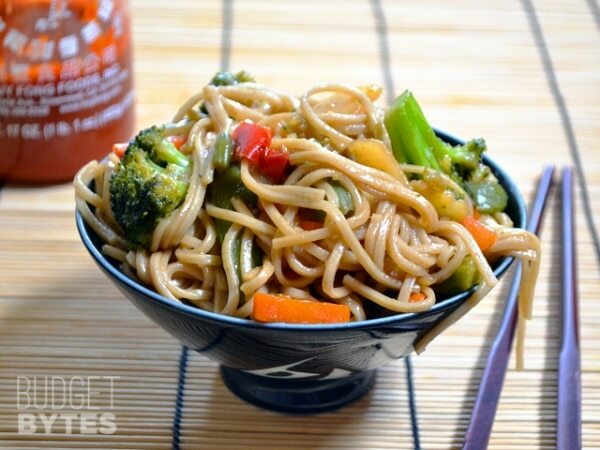 This teriyaki noodle bowl calls for frozen stir-fry veggies, so you’ll get a healthy meal without the endless chopping of different vegetables. You’ve gotta try this easy, delicious dinner! 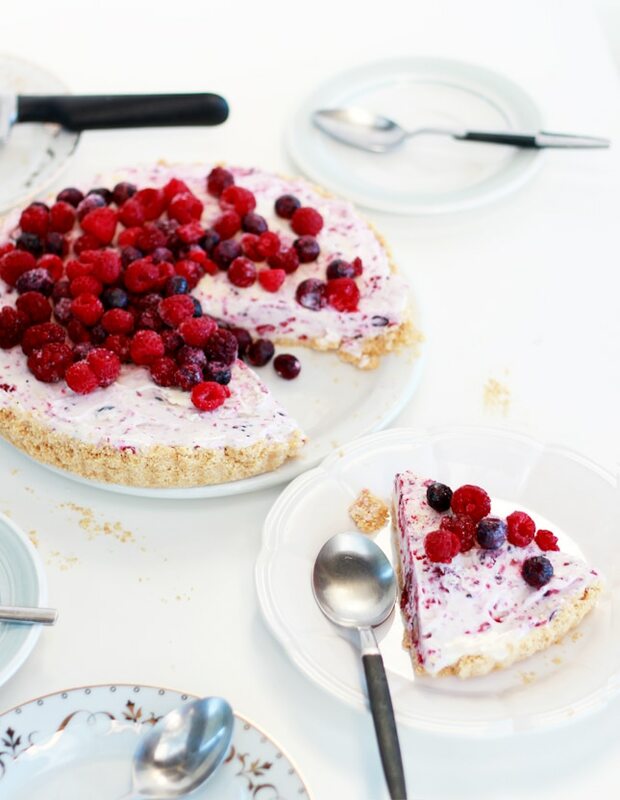 Frozen berries allow this pie set quickly so you can get it on the table that much faster! Combined with vanilla ice cream and a crunchy cookie crust, your favorite berry mix gives this pie a sweet, tart flavor that’s irresistible. 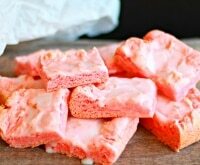 Have a summertime treat no matter what time of year it is! It takes just three ingredients and a few licks to transport you to a sunny, warm, blue sky day. 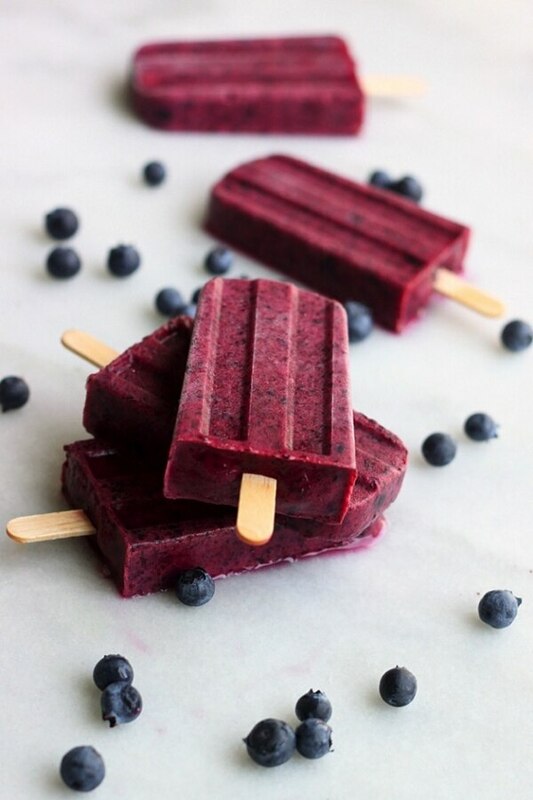 Tangy, cool, and sweet, these pops are bursting with frozen blueberry flavor. 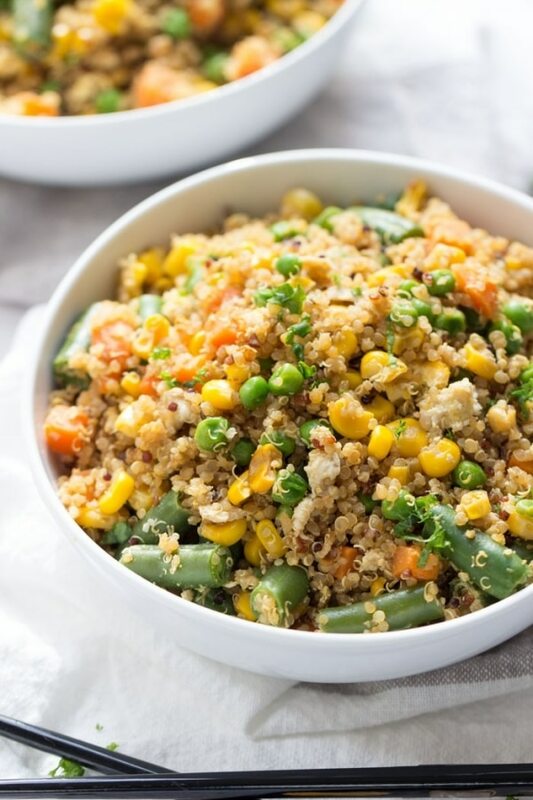 Take plain quinoa up a few notches with a bag of frozen veggies, some eggs, and a tasty Asian sauce. Swap out the quinoa for rice if you like, but either way, you’ll have an amazing, healthy meal in 10 minutes flat! 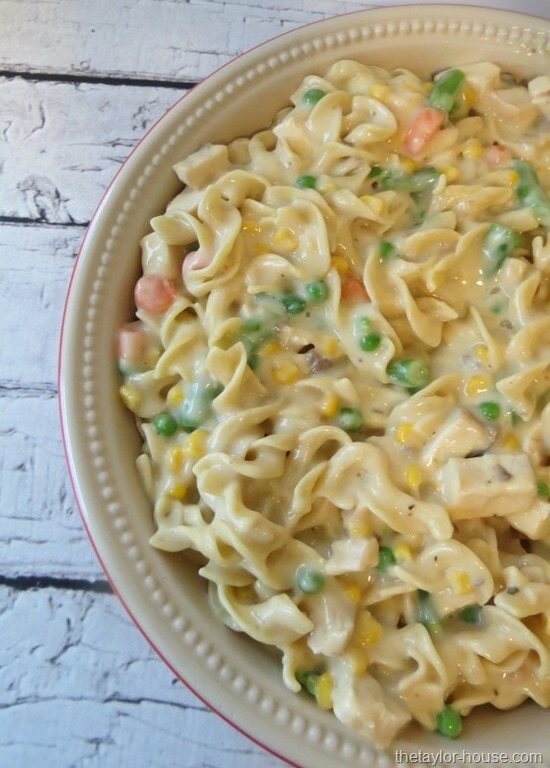 It’s easy to get a hearty, delicious dinner on the table in a snap with this chicken noodle casserole recipe. It doesn’t get more convenient than frozen veggies, cream of condensed soup, and pre-cooked chicken. 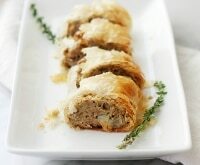 This is comfort food the whole family will love! 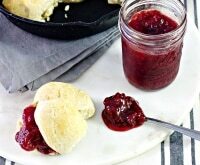 Craving pie but don’t want to break out your rolling pin? 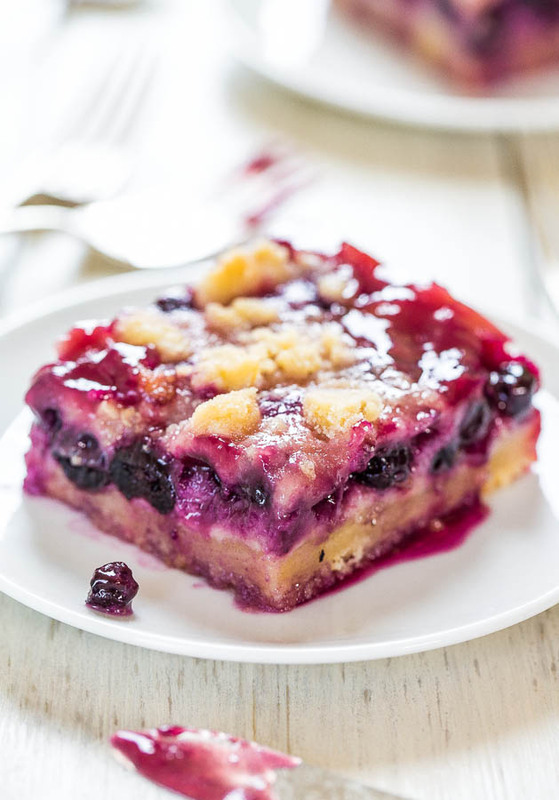 These blueberry pie bars will hit the spot! Frozen blueberries soften and release their juices, making these bars moist and flavorful — or you can try them frozen raspberries. 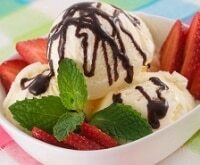 Top with ice cream for a delightful, summery dessert anytime! I thought the title said “Recipes”. I only saw 1 recipe.